A few months ago I wrote up a short post on a new food “trend” with ancient roots – fermentation. Many of you expressed interest in learning more about the process. I’ve never done any fermenting at home before, but your interest inspired me. For my first fermentation adventure, I decided to take a crack at homemade sauerkraut. Together with my kitchen assistant Gary, who happens to be a farm trained, do-it-yourself culinary school grad with lots of fermenting experience, we fermented a crock of cabbage to make homemade sauerkraut. Sauerkraut, a combination of the southern German and Austrian words “kraut,” meaning cabbage, and “sauer” meaning sour, literally translates to sour cabbage. It is created by fermenting cabbage over a long period of time. There are several health advantages to homemade sauerkraut. It’s high in enzymes and vitamin C, both of which are lost during the heating and pasteurization of store-bought sauerkraut. It’s also low calorie and easy to digest. As I was learning about the fermentation process, I became curious about the difference between fermenting and pickling. The most obvious difference is that fermentation creates acid, while pickling requires an added acid, for example vinegar. Both serve as a preservation technique, the science is just a bit different. Sauerkraut takes about 4-6 weeks to make. Since it’s a “hurry up and wait” kind of thing, I am documenting the adventure here on my blog. 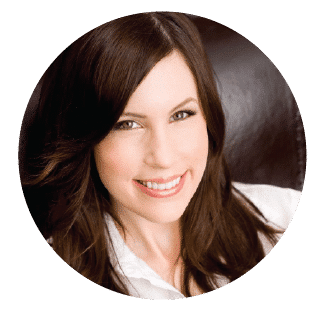 I will walk you through what we did, step-by-step, so you can try it at home. First thing’s first– I bought a crock. A big, honking fermentation crock. It really looked so much smaller online. At first, I was dismayed. After the initial shock wore off, I decided the size was a plus… it means you can make a large batch of fermented veggies at the same time. With the amount of time it takes to ferment, why not make a big batch that will last you several months? And I do mean a big batch. We sliced up enough cabbage to create a decade’s supply of sauerkraut. Seriously. If you too would like to be the proud owner of a ginormous fermenting crock, here is the one I’m using. Keep in mind that it’s pretty heavy/substantial and kind of awkward to handle. It also comes in a smaller size, which is likely a lot more manageable. There’s an even larger size, but that would require some serious fermentation love. You will also need a set of weights to help weigh down whatever you are putting in the crock. We used 10-15 liter stone weights; for a smaller crock, use 5 liter weights. Crocks can be a bit pricey, so if you’d rather not invest in one, there are some less expensive options. You can use just about any sterilized container, taller than it is wide, made from enamel, ceramic or food grade plastic. Once you have chosen your vessel, find a plate that will cover the majority of the cabbage. 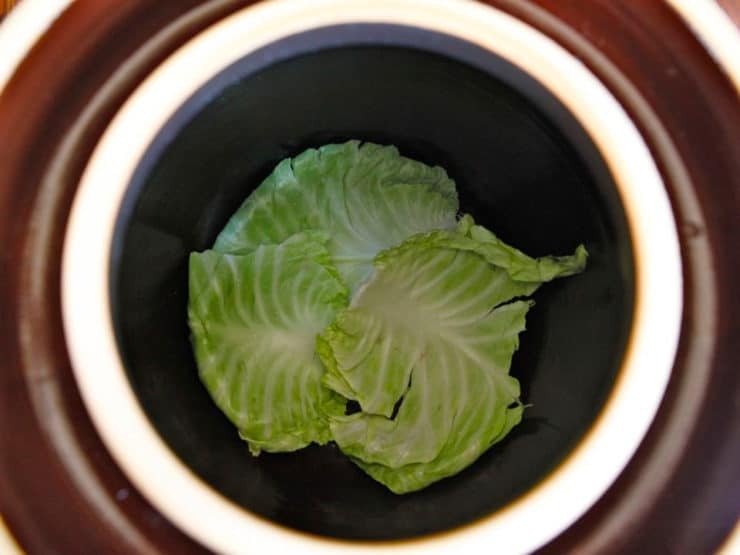 To make sure that the cabbage stays submerged in the brine, a key component of fermentation, you will need to make a weight to place on top of the plate. The simplest option is to place plastic storage bags filled with salt water on top. You can then cover your container with plastic wrap or a lid. Since I’m fairly new to fermentation, I decided to start with a basic sauerkraut, which only requires salt, cabbage, and water. Spices can be added to make a flavored sauerkraut or kimchi. If you feel like experimenting, the same method can be used for other vegetables, including cucumbers, onions, beets, carrots, kohlrabi, red cabbage, and rutabaga. You can even combine a variety of vegetables in a kraut medley if you’re really feeling adventurous. Before we start, a few pointers. Because fermentation can get a little messy, it’s important that every utensil, towel and piece of food that you use is very clean. You do not want to add any unwanted bacteria to your sauerkraut. We only want the good, pro-biotic kind. When making your own sauerkraut, or doing fermentation of any kind, it’s important to keep in mind that this is an ancient process, developed long before sanitizing cleansers and refrigeration. It’s likely that a small amount of mold or yeast buildup will develop on the top layer of your sauerkraut. This is part of the process and is not a cause for concern. 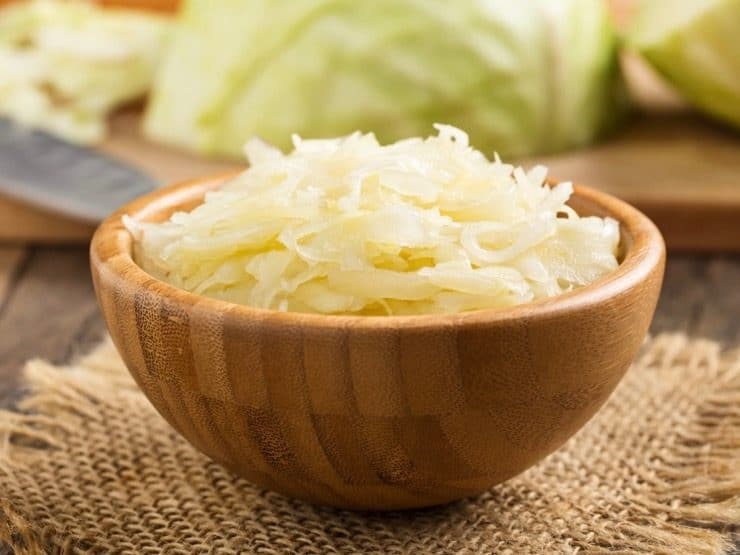 This can be easily removed without coming into contact with your sauerkraut if you place whole leaves on the top of your shredded cabbage, which will create a protective barrier that can easily be removed at the end of the fermentation process. Instructions below. Start by boiling 6 cups of water with 1 tbsp of kosher salt till salt is dissolved. Allow to cool. Meanwhile, clean your cabbage and pull off 5-6 of the external whole leaves, set aside. Shred the remaining cabbage - for instructions on shredding cabbage, click here. Cover the bottom of your fermenting pot with 3-4 whole cabbage leaves. You will only need two layers of whole leaves in the crock, one on the bottom and one on the top. 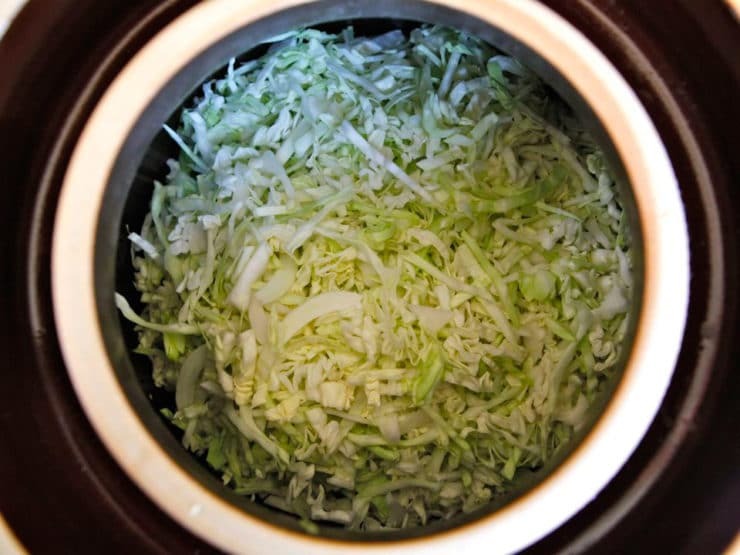 You will need to salt the shredded cabbage before adding it to the fermentation pot. We found this is easiest to do in smaller batches, to keep the salting amount consistent and mixed throughout the fermentation crock. 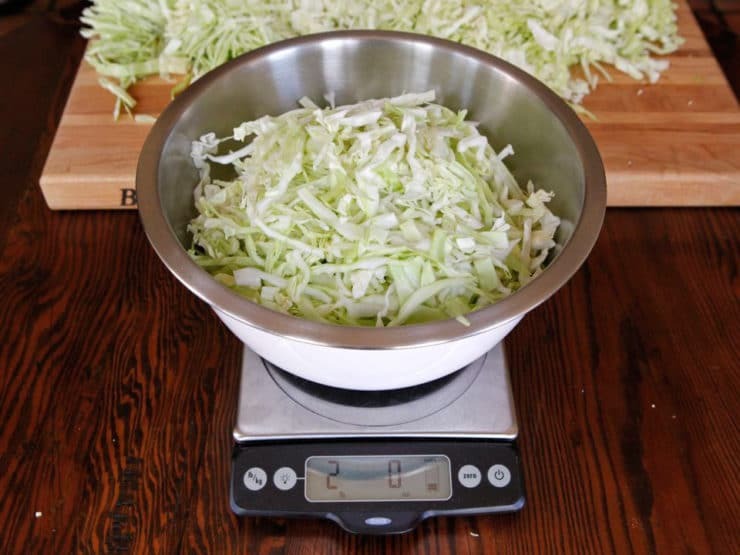 Measure out 2 pounds of shredded cabbage into a bowl (we zeroed our scale with the bowl on, then measured a 2 pound batch). 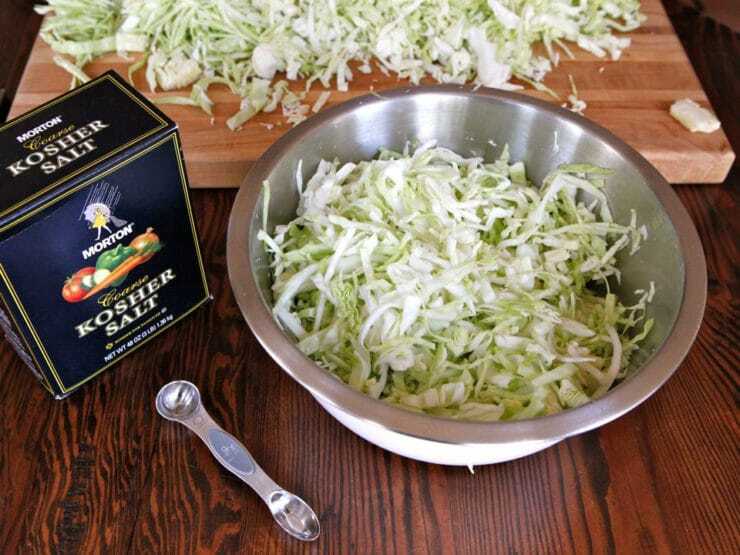 Use clean hands to toss the shredded cabbage in the bowl with 1 tsp kosher salt. 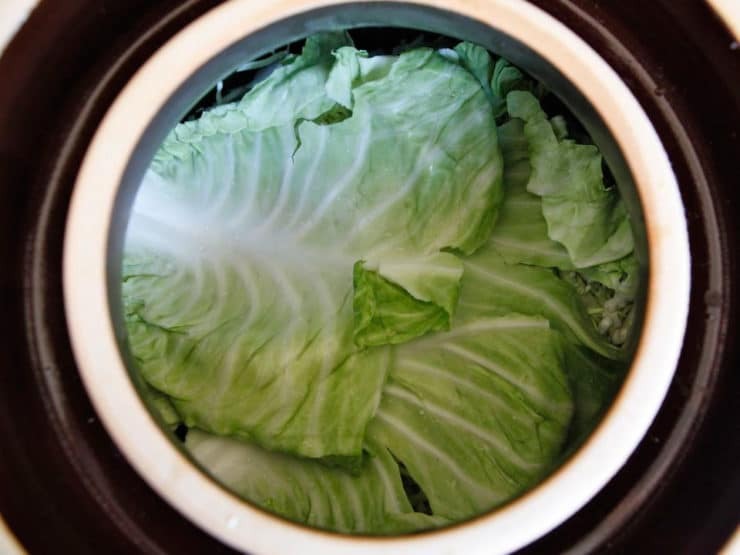 Place the salted, shredded cabbage into the fermentation pot on top of the whole leaves. Measure out another 2 pounds of the shredded cabbage and mix with 1 tsp of salt, then add to the fermenting pot. Repeat this process in batches until all of your shredded cabbage has been salted and added to the pot. Pack down the cabbage tightly, but do not crush the cabbage strips. Cover the top of your shredded cabbage with remaining whole cabbage leaves. These leaves will help to collect the yeast and mold that may accumulate at the top of the crock, and can easily be removed and discarded after the fermentation process is complete. Place stone fermentation weights on top of the whole cabbage leaves and press down, but not too hard. You don’t want to damage the cabbage. Cover the fermentation crock with a lid. The salt will naturally draw some water out of the cabbage. After a few hours, check to see how much liquid has accumulated inside of the pot. It should be about 1-3 inches above the cabbage. If this hasn’t happened, add cooled, boiled salt water to the pot. We ended up needing about 3-4 cups of salt water. Pour it over the cabbage till it is submerged (you may not need to do this if your cabbage has created enough natural liquid). Reserve the remaining salt water. Once the water level is where it should be, cover the pot and fill the channel around the lid with cooled salt water to create an airtight seal. This will keep oxygen out of the pot. Once this has been done, do not open the fermentation pot for at least 2 weeks. No peeking! Reserve the remaining salt water brine in a sealed container in the refrigerator; you will need it over the course of the next several weeks. For the first few days, store the pot in a warm place, between 68 and 72 degrees. After a few days have passed, listen for a fizzy, bubbling sound coming from the pot. This is good and means that fermentation has begun. If you don't hear anything, don't worry, it may just mean that the walls of your crock are too thick for sound to travel through. After fermentation has started, move the pot to a cool place, between 59 and 64 degrees, for the remaining fermentation time. If you don't hear anything after 1 week, go ahead and move the crock to a cooler location without waiting for it to sound bubbly. Check your water channel regularly to make sure that it's filled with salt water. At times, the pressure which builds up inside the crock can cause suction, which pulls the channel water into the crock (it happened to us a few days in). If this happens, pour more of the salt water into the channel to keep it full. After the first 2 weeks, check your sauerkraut’s brine level and skim off any mold or bubbles that have gathered near the top. Be sure that your cabbage is always submerged in the brine. Fermentation breeds strange sounds and smells, so try not to worry about those. Close the fermentation crock again and refill the channel with salt water. Your sauerkraut should be ready in about 4-6 weeks. You will know for sure once bubbles no longer appear in the liquid. The longer you allow the cabbage to ferment, the tangier the flavor will be. UPDATE: Our kraut turned out great! It took about 5 weeks to achieve the flavor and texture I was going for. This sauerkraut was so much better than the store-bought kind… it was salty, pungent and the lactic acid made it tingle on my tongue. It’s delicious and way cheaper than store-bought probiotics. Good for your gut, good for your tastebuds… can’t beat that! Have you tried fermentation before? Did it turn out the way you hoped it would? What is your favorite fermented food? I’ve used this process twice now, and getting ready to do it for the 3rd time. I leave it in the low traffic area in my house. I don’t have the ability to switch it to different temperatures, but in about 4wks (give or take) it’s good to go for me. Afterwards I can it to keep and to give out. People I give jars to rave about it. It is not like store bought. Much more tangy and firm. It has become my favorite. What’s the difference between eating old shredded cabbage from the refrigerator, and brine cabbage? I’m serious because it looks and smells the same . There is no yeast or mold involved.Except its crunchy. I have been fermenting cabbage and many other things my entire life. I won’t eat the store bought stuff. It is terrible and has no health benefits at all. Just a suggestion for people wanting to try a different flavor of sauerkraut. I shred fresh horseradish root and chop habanero peppers. I mix about 5% of the total weight in to the cabbage and ferment that. It is amazing. People are always begging for handouts. Great article! Just curious, since you’re not boiling this to can and store it, how do you keep it for eating the next few months? Hi! My daughter is experimenting with fermenting (she regularly makes kombucha and kefir) and started a crock of cabbage about 3 weeks ago before leaving for college. This morning I cleaned off the top layer because it was growing either mold or yeast, and had an unpleasant odor. It’s only been fermenting 3 weeks. Would it be recommended for me to add brine and allow it to continue to ferment? The flavor at this point is not good. Or should we toss this batch and start again? It may be fine, fermentation can be stinky especially in the beginning of the batch. Some batches tend to be more smelly than others. If the smell is similar to the smell of human sweat, dirty socks, sulfurous, or “goaty,” then it’s likely a normal smell that will dissipate with time as the ferment progresses. However, if it smells unmistakably like rotten or putrid food, you should toss it. Truly putrid sauerkraut often develops mold or yeast, however mold and yeast does not mean a whole batch has gone bad– removing the layer and adding brine can help. As far as flavor goes, by “not good” I’m not sure what you mean. Does it taste rotten? Or just not tangy enough? If it’s an issue of tang, you can let it ferment a few days longer, then sample again. If you don’t notice any increase in tang, that means the fermentation sugars have been used up and this batch won’t get any more sour. For your next batch, you can add a bit of sugar to the batch – about 1/2 teaspoon for every quart – which will result in higher levels of lactic acid in the fermentation. If it tastes and smells rotten, trust your senses and scrap this batch. A batch will occasionally go bad, but it’s rare. My wife and I decided to make kraut we cut the Cab mixed salt in each batch and put it in the crock. When the crock was full we put a plate and wieght and top of the plate. It bubbled for 10 days and quit so we waited be a few days and then checked it, we were not sure why it only bubbled 10 days but we tasted the mixture it seemed to be sauer so we put in jars. My question is why so little time or did we cut the process short? I’m curious about the directions not “stomping” the shredded cabbage. I have one of the nicer crocks and the directions that came with it was to stomp, mash, beat the cabbage. Why the directions to be gentle with it? Carol, stomping the cabbage will make a softer, mushier end product. We prefer our sauerkraut with more texture. Why not a glass jar? You mentioned everything but :). I made several batches in a gallon jar and was very pleased. Santa brought me a real crock and I just started a huge 4 cabbage batch. My spice combo is 1 Tblsp. juniper berries, 1 Tblsp. allspice berries. So far my favorites recipe is pork cops, Granny Smith apples and sauerkraut cooked slowly (325) for 3 hours. Absolutely delicious. I need more recipes because my volume is fixin’ to increase. I have made your recipe 3 times, the first time in the Spring of 2017 and twice in the fall/winter 2017 and I just pulled the last batch out about 10 days ago and I am about to start batch 4 today. I absolutely love your recipe and how easy it is. I have about 4 quarts in the fridge right now. I have been letting mine go a few days over 6 weeks and it is sweet and tangy. My biggest struggle is finding a cool spot to leave it. I live in Southern California and a basement is not an option nor is a closet as I just don’t have the space. It sits in my dining room on a north corner and I keep an indoor/outdoor thermometer next to it. I do have to fill up the water seal frequently, but other than that it is one of those things you can set and forget. My friends and family love what I do with it. Store bought sauerkraut is a thing of the past for us. How do you store the kraut after the fermintation process? Hi John, I usually store mine in sterilized mason jars in the refrigerator. I am excited to try this. I have been wanting to do sauerkraut and pickling. I decided to start from scratch so I made a small pickling crock (i am a professional potter) My crock will be done tomorrow and I will start my first batch. I bought a crock too but want to use my own first. I am hungry just thinking about it! I forgot to save cabbage for the top and the bottom can I use cheesecloth instead? thanks for your great info. Was following your recipe and realize I don’t have a water channel on my crock. Can it still work? Is the difference between using a crock and using a mason jar basically just the size of the ferment? Does using something like a crock change the flavor of the end product at all? Thank you for sharing your recipe! I definitely can’t wait to try this at home! Hi Billy, Tori’s assistant Ashley here. People who do a lot of fermenting often prefer a crock for it’s size. It also gives more depth to the flavor. But a jar is just fine and will also give great results! I’ve used this recipe for the last 3 years and it has turned out perfectly every time. Because I’m using the fermentation method rather than adding vinegar and canning it, I normally store it in glass pints and put them in the freezer. It doesn’t kill off the lactobacillus like it does through the cooking process which is so much better for your health. I DON’T own a ceramic crock and have used a 5 gallon pickle container each time with a plate that fits down over the top of the cabbage leaves, and a very clean brick wrapped in foil to hold the plate down on the top. Even with my rather off beat method of making sauerkraut, it still works. The first time, I was a bit worried because no bubbles or fizzing but I persevered, waited the six weeks and it turned out amazing anyhow. Thanks for the recipe! I suggest a bit of research on the foil. Especially in light of the association of Alzheimer’s and aluminium. I wouldn’t use it. My dad just put a clean rock on top of a ceramic platter. Just a footnote, no pun intended, at the age of 5 my older brother scrubbed my feet and made me the “stomper” in our 55 gallon rain barrel of kraut, as dad shredded the cabbage with our antique shredder and filled the barrel. He and my 11 siblings claimed it was the best kraut ever. Guess he should know, he was German! You seem to be knowledgeable in this area and I am not! I found one of those crocks at an estate sale. The next day, five weeks ago I went and bought four heads of cabbage. I followed the instructions. It burped, etc. Opened it at two weeks no scum. I opened it again and it smells good, so I put it on a slice of good rye bread with a sliver of beef off of tonight’s pot roast. 1. Is it supposed to be crunchy? 2. My cabbage is wider than commercial sourkraut. Is this okay? 3. It’s a lot of kraut… can I leave it the crock as long as the brine covers it? my aunts have passed on twenty five years ago. It taste good – I guess it’s okay? Hi, I am making pickles for the first time in a fermenting crock. I put in gherkins, garlic, dill and pickling spice. I missed the part about not peeking and peeked 2x (on day 2 and 3). Will my pickles be OK? Thanks! What could go wrong? Can you get botulism? Just make sure to taste them on day 6 . My water sealed crock is a few days faster than the open crock ! It’s best to keep it sealed but I don’t think you should worry about peeking. I’ve used open crocks since the 80’s and only five years with a sealed one. Good luck . Dr. Jonathan Lamb, professor at Vanderbilt University, recounts that CPT James Cook took 7,860 pounds of sauerkraut on his voyage to the South Seas and not one of his sailors died of scurvy while they were gone. While Cook used the fermented vegetable to keep his crew healthy during the long sea voyages, he was not the first explorer to do so. Some researchers believe that fermented foods came into Eastern Europe because of the raids of Genghis Khan. Asian peoples eat kimchi. Many service members have been introduced to this dish while serving overseas in Korea. I make a very simple version that does not have the pungent aroma found in more ethnic versions. Historical records have shown that the workers building the Great Wall of China ate fermented cabbage during the cold seasons when fruit was not available. Talk about a stressful and intense work environment, that would have been it. Levels of vitamin C in fermented sauerkraut range from 57 to 700 mg per cup. Now, before you go running out to buy multiple flats of canned sauerkraut, remember that heat decreases the level of vitamin C in veggies. The type of sauerkraut Im talking about here is the lacto-fermented kind that uses no heat in the process. Raw cabbage has a moderate amount of C in it, about 30 mgs, but the level spikes when lacto-fermentation is done. Red lacto-fermented cabbage has been found to have the highest C values, at around 700 mg per cup. 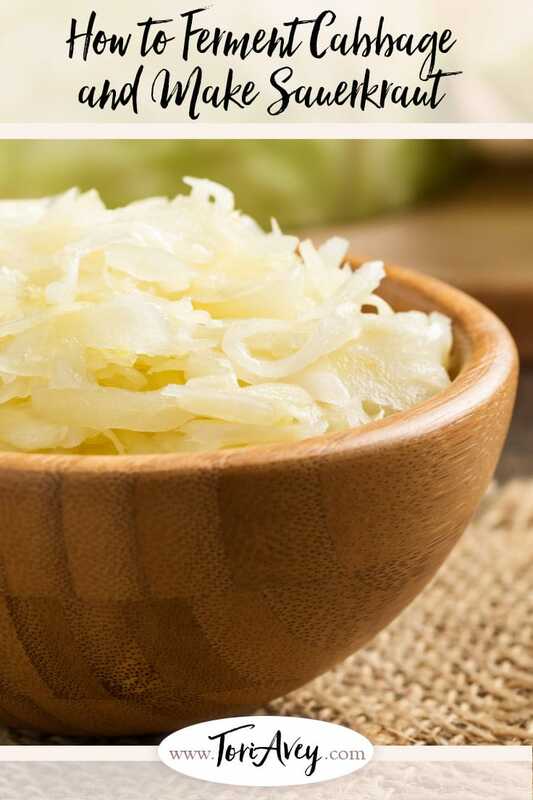 This type of sauerkraut has the fiber and the probiotics that improve digestion and maintain bowel health and protects against many diseases of the digestive tract. Traditionally, lacto-fermented sauerkraut has been used in studies in Europe as an aid to cure stomach ulcers. Lacto-fermentation of the cabbage is not a fast process. It occurs over days and weeks. 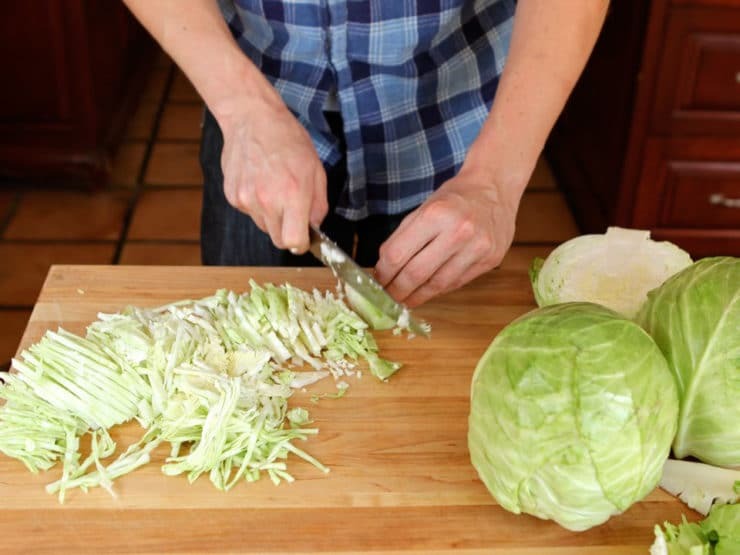 The cabbage is sliced thin and layered with water and salt, left at room temperature with a weight to press down the cabbage and keep it under water. A breakdown of the sugars happen, and then the process of growing the probiotics occurs. It is then packaged into jars in its own brine solution, and it can then be refrigerated to preserve the vitamins and enzymes. The Lehmans Non-electric catalog from Kirdron, Ohio has sauerkraut crocks and various books on making and storing sauerkraut. Note that it is not only cabbage that can be fermented. Other vegetables, such as red beets, turnips, red peppers, daikon radish, and carrots all have vitamin C levels raised when fermented in the traditional way. As I stated earlier, it only takes about 10 mg to keep scurvy at bay; however, you will need considerably more in your diet to function at the optimum level needed in a SHTF scenario. Whether you get it from multi-vitamins, supplements, or in your daily food, you should have a plan for it. Thanks for the post. We love sauerkraut and I’ve been making it for 30 years from a foolproof recipe pased down by my grandmother from eastern Europe and it has never failed or molded, or had anything that had to be skimmed off the top. Plus, the sauerkraut juice is just as healthy and delicious as the sauerkraut and kept many colds away over the years. I make it every few months in large glass wide mouthed jars (walmart or target). My jar can hold Two medium sized heads of cabbage. The process is Super simple. Put 3-4 peeled garlic cloves in the bottom of the jar with a few sprigs of washed fresh dill or about a teaspoon of dill seed (or caraway), put a few handfuls of shredded cabbage in the jar, sprinkle lightly with sea or kosher salt and pack it down tight, repeat until jar is almost full – about an inch and a half from the top. Now fill with filtered water. I cover with fabric mesh held with a rubber band in place for air flow. Every day, once or twice a day, pour the brine water into a big bowl, then pour the same brine water back again. The aeration moves everything around evenly (i.e. The white stuff that forms on the bottom of the jar gets redistributed throughout and helps ferment it faster. Depending on the temperature, it will be ready in 5-10 days. May have to top it off with extra brine water to make sure the cabbage stays submerged. I keep mine on the kitchen countertop with a plate underneath the jars to catch any spills and until ferment is done, then put it in fridge with a tight lid to keep the smell in. It keeps for months and our favorite way to eat it is as is, dressed with some olive oil. My name is Darlene I got a big glass jar about 3 gal. I think and u put 6 to 7 lbs not weighed just approximately 3 tbs pickling salt to app 5 lbs. Had to add some brine and this is by no means full m a little less than half full. No bubbles I have a bag of brine I n it and then a saucer on top of that. I put foil over the top and then the glass lid that just sets on top. I probably didn’t search enough but can you help since you used a jar too. Thank you. This is what I was looking for thanks for posting. I’d avoid using foil as the salt can react with the metal to give a bad taste – though I have not tried the foil… just because I think metal and brine is a bad idea. South Florida doesn’t provide for the fermentation temperatures that are mentioned in your blog or the comments. The cost of air conditioning is prohibitive and we don’t have cellars. What suggestions are there for fermentation (which I could in a small bar refrigerator) do you have? However, it seems that air flow is necessary for the process which wouldn’t happen in the bar refrigerator. Has anyone ever seen large amounts of salt resembling a spider Web on the outside of the fermentation lid? Been at this a while and happens every time I make a batch. Doesnt ever taste too salty in the end though. I needed to add about 14 cups of brine to a 10 liter polish crock. The initial liquid never showed after 4 hours. Does this sound right? Great post! I adore sauerkraut, but haven’t had much luck trying to make it. I used a mason jar though as opposed to a fermenting crock; is there a big difference between using a crock and a jar? It seems to me that a crock would be better because it would protect the kraut from the light and maybe keep the environment more stable? The crock is more temperature stable and allows you to make a much bigger batch at once. This is an airtight method and yes, it takes 4-6 weeks. However, you can air ferment your cabbage is 3 days. You need an enameled stock pot. Mix chopped cabbage with salt and put in th pot under a weight. The difference: it has to be mixed daily to let th air in. In 3 days put in jars and refrigerate. This is how it’s done in Russia. Going through your wonderful article, I clicked on the link to the pot you bought and it is not the same as yours. Do you have the name of yours? I like that it has a wider top. Some of the ones I have been looking at have a narrower top. Hard to see in. Good friends gave us her Grandmother’s huge Redwing Crock, 24″ across and about 3 1/2′ tall. We like making kraut in it, but it’s so big and heavy. We were thinking about buying a smaller one… the 15 liter size would be perfect for us. I think they modified the style of the crock we were using, I am not sure if they still offer the style that I have. If I find it I will post! How many liters is your fermenting crock? I may have missed it but I do not want to get too small . Thanks for such a detailed blog. The first problem I have in this recipe and tonnes of them online is the easily ignored fact about not giving proper measurements when saying 6 cups of water. How much exactly is a cup measure as??!! Every house has a cup with a different volume. Why don’t you give a proper measure for your “cup”! And in general my disappointment of finding the usage of “cup” so prevalent in almost every recipe/website I see. It really does wreck your effort if you use the wrong volume in the cup! S D’Souza, I can see that might be confusing – however a “cup” is a standard measurement in America, so when you read cup it is always the same volume – 8 fluid ounces or 235 milliliters. I agree, the metric system is easier to use for liquid and dry ingredients. All the measurements given in the recipe are standard English measures – pounds, teaspoons, inches, even temperatures in degrees Fahrenheit. Wouldn’t it follow that the cups would indicate a standard English measure? As far as “metric is easier,” I have found that those who use the metric system are much more familiar with converting to standard English measure than the other way around. Let me assure you, in the United States, the metric system is *not* easier to use. We can’t even buy measuring cups, spoons, etc. in metric measures. Just an FYI for this thread- I am working on converting all of my recipes to a new system, which will give users the option to choose metric or standard measurements, as well as adjust amount of servings. I’m thinking of fermenting in a five liter crock and then transferring to jars in the fridge after six weeks as the crock is too big. Will the sauerkraut still need to be totally submerged in brine with weights, or is it okay to store it dry after the initial fermentation has taken place? I borrowed my mom’s crock which she hasn’t used in a while. I opened it up to find tons of mold! I don’t know what to do. Any suggestions? Is this normal? I’m so upset bc I prepped my cabbage and found this issue afterwards. Now maybe I just have to sautée it. Hi Kate, Tori’s assistant Ashley here. Sorry for the late response. I’m not sure what would have caused the mold in your mother’s crock. Before using again, make sure it is very thoroughly sanitized with very hot water and antibacterial soap. I used your recipe to a T but notice that other recipes call for 3 TABLESPOONS per 5 lbs. That is a huge difference. We just made 32 lbs last night and looks like I may have to add another 14 tablespoons if the above instructions are incorrect ugh! Hi Gary, Tori’s assistant Ashley here. The recipe is correct as written, it should be teaspoons. Hi. I’ve made saurkraut twice. Once with a store bought cabbage and the other with a farmer’s cabbage. The store bought was dry and I had to add a lot of liquid to it, but it came out great. The farmer’s cabbage was full of it’s own liquid and I was thrilled – until it was done fermenting. It didn’t smell like saurkraut at all – it wasn’t a spoiled smell – just not right. Anyone out there know if there are some kind of cabbages you shouldn’t use for saurkraut? Alright, followed all of your steps and when it came time to add water I had to add 18 cups, was my cabbage just dry? I salted it exactly the way you said, 1tsp for every 2 pounds. Is this okay or is my kraut doomed? I currently live with my parents. I do believe my mom would murder me with the crock if I ever attempted this!!!! Lol. Maybe someday!!!! Your recipe is a good one and one many of my friends have used. My family is originally from Czechoslovakia (my great-grandparents came to Texas in 1869). The recipe we use was passed down by their great-grandparents down (at least) We don’t use brine during the fermenting period. We let the cabbage sit with the salt for about 30 minutes. Then move the cabbage slightly squeezed out and layered with dill in a fermentation crock or a 5 gallon bucket with a plate and a gallon of water on top of that. After 3-6 weeks we put the cabbage (in batches) into a big soup pot, add water to barely covering. Bring that to a boil for just a few minutes. Put the cabbage in prepared canning jars, adding some of the liquid if needed to cover, then secure with hot lids and rings. No hot water bath required. As the sauerkraut cools the lids will seal. It’s never been too salty and even us kids were making this as newlyweds on our own with no issues. My kids are now making their own by the quart using the same recipe. Just offering a tried and true alternative that has much less sodium and is extra simple since all you do during fermentation is skim mold. Lisa, if you cook the cabbage in any way, you kill all the beneficial bacteria. 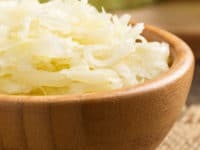 By heating the sauerkraut, you are destroying the probiotic benefits. I am sure it is tasty though. Won’t boiling the sauerkraut kill the beneficial microbes? What type of dill are you using? And what are the measurements of salt to amount i f cabbage? For my calculations, it would be helpful to know how many total pounds of cabbage you used in this recipe. (I.e. how many times did you put 2 pounds worth of cabbage on the scale.) 3 large heads but… how many total pounds? We just got the same croc and made our first batch. Can you add brine water when you open the pot after 2weeks? Used the basic recipe but did it all in stainless steel pot. I used plastic wrap in place of the leaves on top and covered it with a flat cover from a smaller pan that fit in perfectly. Weighted that cover with a large decorative stone. Was left at room temperature for three days and refrigeratored for four weeks with excellent results and not one bit of “slime” on the surface. I love the idea! Hadn’t heard of this process until my son in law started a crock of sauerkraut. Can’t wait to taste! I used to much salt when I made my kraut for every 2 heads I used about 1/2 cup salt, now my kraut in not fermenting, it has sat for 2 weeks and has done nothing, someone told me to take it out and rinse it so I have done so, will my kraut still turn out? Hey nice job I never use a formula to make kraut I have been making it for about 5 years and it has always come out amazing. I make large batches 50lbs of cabbage I use one lb of kosher salt. I let the cabbage wilt and gentle squezze it and then put it in my 6.5 brewing bucket, I also make a lot of wine and such. I can mine and give it as gifts and I have enough till the batch is ready next year, the things I love growing up with a full German grandmother at home. Great peice, thank u for your time! How bad does it smell. Never made before but love, love, love homemade kraut. live in PA Dutch country and have many that make it. I want to put garlic in with mine. My garden cabbage needs to be picked and want to start mine tomorrow. Hope it doesn’t smell up the house too bad! I want to can after it is fermented. I have a 10 Liter crock. How many quarts will that make? Anyone know? Arg! Another failure! I followed directions exactly. I made sure hands, crock and utensils were clean. I used weights in my crock, and cabbage was submerged. I kept the airlock filled with sanitary brine. After 4 weeks, I opened it up and was met with the most putrid foul nightmare. I crossed my fingers and hoped it was just surface mold, but it wasn’t. The kraut was rotten all the way through. The stench!!!! This is the third time. I’ve only had one batch turn out, and that was the first time I made it. Every attempt since then has been a fail. I fermented it in the corner of the dining room, out of the way. Our A/C is set at about 72F. Is that too warm? Should I wait until cooler weather to try again? Any other ideas of what I did wrong? I personally like my kraut with a salter taste and have not had a problem with any batches I have made. I prefer to use 1/4 cup ( 4 tbsp) salt per 2 pounds of cabbage. I check (taste test) the batch @ 4 weeks, then adjust time from then. Also use a crock like the one pictured above and keep just out of the way but where I can keep a watch on it. My house temp stays at about 72 to 75 degrees. MAKE SURE WATER STAYS IN THE RING. You will have problems if not! I make batches of 8-10 heads at a time. This taste just like my grandfathers. One thing I forgot. After I add salt I mix and and hand squeeze the 2 pound read good. Also put into a container large enough to hold all the cabbage. After all cabbage has been added hand mix extra well by hand. Let set about 1 hour. Then process the the crock. follow instructions from that point. I had the same problem when a batch was in a room that was 70 degrees…65 is best and i have been making it in summer by submerging the crock in container of water…the water maintains an even cool temp when kept in a shady place…perfect. I ordered a pot. Do you think having a water softener will have any impact on the sauerkraut? Would distilled water be better? well, It turned out a little soggy but ok. Guess I will use a little more salt next time. I was just wondering if you could have too much water in the sauerkraut, after the first day I checked it and I have a plate on top for weight and the water is in the plate, do I need to drain some of the water? Hello I started to make some I used 7 heads of cabbage w salt I still have 6/7 more heads to cut when ready . Can I keep adding to the croc . 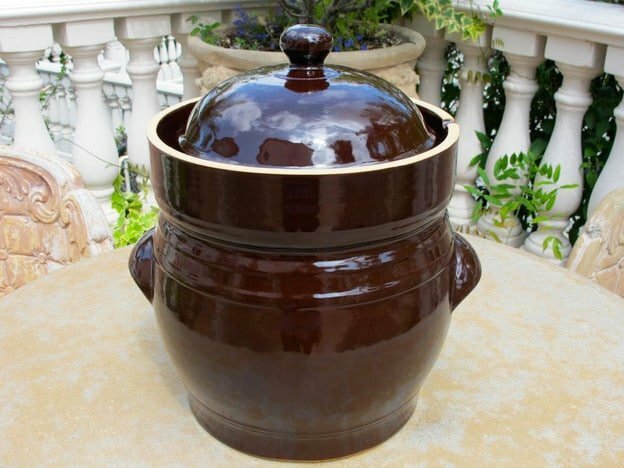 Hi Tori, that fermenting crock, is just like the one we use for our Chinese pickles too, but we don’t have the stone weights. We pour water to seal as there is a drain surrounding the top and the water will reach the cover so it is 100% sealed. We keep it in the crock but always use a clean pair of chopsticks. We keep the liquid in for the next pickle. The old brine is to best. will pass on to the children or any new pickles in other place or house. As long as there is no Black mold as that is the poisonous thing, the brine is fine. Lots of people get scum on top of their sauerkraut but nobody ever asks why that is. My feeling is there is too much airspace in the crock or you are opening the crock too often. One thing beer brewing taught me is “keep out!”. If you have bubbles coming out through the airlock, that’s all you need to know. Add a small amount of sanitizer, like Star San, to the water in the trough, not the fermenter itself. That way you won’t have to stand over the fermenter to know if it’s bubbling. Oxygen in the crock changes the bacteria profile. The wrong kinds of bacteria can consume the lactic acid causing the pH to rise. When that happens the kraut can spoil and you risk botulism. This is why aerobic fermentation is a very bad idea. Fill your crock to the brim with brine so there’s no empty air space. 76 grams of canning salt to 1g of water will give you a 2% solution, suitable for kraut, specific gravity will be about 1.013 @ 72 degrees. 2% is not sufficient salt for aerobic fermentation. Other vegetables may require different salt concentrations. I got the part about botulism from what I believe is a reputable site. After thinking about it, I wonder just how likely it would be to get botulism from aerobic sauerkraut. Some other type of bacterial food poisoning, yes. Botulism? Botulina is a bacteria that grows in anaerobic environments, not aerobic. It seem counter intuitive that you would get a botulina bloom with aerobically fermented kraut. I do believe though that you are risking food poisoning fermenting sauerkraut aerobically. I also don’t believe it’s normal do be getting a layer of foam or scum on top of your ferment. To me that indicates your salt content is too low, you have too much air in your fermenter and/or you are going into the fermenter too often. Each time you peek, you are letting in more undesirable oxygen. If you leave the dang thing alone, the CO2 will displace the oxygen. But this brings up another topic that is rarely discussed…sizing your fermenter. A 5 liter fermenter is usually way more than enough for beginners. But you want to limit the empty space inside so you limit the amount of oxygen. Mark, talk of Botulism sort of freaked me out. Ok so filling the crock and minimizing the oxygen works? So after the fermenting was finished – did you just leave it in crock or put in jars? Hi Cathy, I put in sterilized jars in the refrigerator. You do not need a crock. Any glass jar will do. Cabbage, water, salt and 2 weeks. Easy. Yes, I’ve done 2 batches in 2 gallons glass jars that were great. Just started my first in a real crock, we will see….. I followed your recipe thoroughly and we are enjoying Wonderful! sauerkraut. The best. I just packed the crock for another round. So happy to hear that Fenna! Enjoy! Lower Selesia (the border between Poland, Germany and Chech Republic) we came across a factory and the shop that actually produces these crocks! I was so excited! We shlepped one back to Israel and I went online to look for the receipt. And that’s how I came across your site. I assume your crock comes from the same origin 🙂 (actually on WS site it say that it is made in Poland). 1. After a couple of hours the level of the cabbage went down considerably and freed a lot of space. Can I add some cabbage before I finally ceal it? As the cabbage ferments the resulting production of carbon dioxide will push the air out of the crock leaving a protective layer of CO2 over the cabbage thereby inhibiting spoilage. You don’t need to fill the crock entirely with brine, an inch or two over the the stones should be sufficient. Why do you say not to press hard or don’t damage cabbage? My Grandfather started making sauerkraut when he was still living in Hungary. He used a 20 gallon crock and a wooden tamper to pound the cabbage as he added each layer. His sauerkraut was the best I think I’ve ever eaten. He always told me how important it was to break down the cabbage to release the water. Hi Doug, this is a note of texture preference. Tamping down causes a much softer end result, the leaves don’t hold their structure as well during the fermentation process. If you like the way it turned out when your grandfather made it, use his method…grandparents always know best, in my opinion! I tasted my sauerkraut today. I think it’s pretty darn good. First attempt for me. How do I store the finished sauerkraut ? Do I just leave it in the crock and take out small amounts at a time for eating? Or put it in jars in the fridge? I’m hoping to enjoy it throughout this winter. Looking forward to a new kraut season here in the Northwest. The big basketball size cabbages should be available in about 3 weeks. Love all the great comments I have read on this blog and am thinking of going with some cranberries and cumin or maybe just stick with my traditional juniper berries and Brussels sprouts. Any suggestions? Interesting! Never thought about adding Brussels sprouts, that’s a great idea. Debby, is it ready? Or will you let it ferment longer? Traditional sauerkraut is made with Juniper berries and cumin seed. 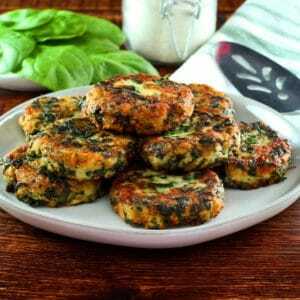 Many mistake this with caraway seeds. The juniper berries are put in whole . My Moms made it this way all her life. I always add a few TBSP of clear liquid (also strained through four layers of quality cheese cloth) from living yoghourt and some Braggs vinegar, both of which add extra probiotics to the mix. I think I found out about this from WestonPrice. I also break a capsule of very expensive probiotics into the mess, but do not know if this adds anything or even survives to spread its goodness. I add many items, hot fresh chillies, beet matchsticks, a few raisons, chopped figs I have soaked and washed to get ride of sulphates, sweet potato (both white and yellow), and lots of fresh pineapple. Finally, Junipers and other living seeds and spices I also add, and even bunches of herbs adorn my Kraut. Mine never looks as pretty as the ones I see on line. I want all the colours I can get into it as it seems such may help in health. I sense my well being has improved and I really think the Kraut is the responsible addition to my Paleo diet. I have two meals a day and both have the addition of my Sauerkraut which sits in a smaller mason jar in my fridge. Tori please help! I have made it one 2 years ago and it was perfect, the last 3 attempts it immediately molded BADLY in out pantry which stays around 69 degrees. the only think ive done different is the first time i accidentally used too much salt, but it was perfect. Hi Rob, the best advice I can give is to keep all of your implements and the crock or jar you’re using very clean and sterile. Tips are shared throughout the comments. It’s also possible that you have some existing mold in your pantry that you might not know about. Mold spreads very quickly, so if there is already mold in that environment the fermentation crock can easily pick up the spores and allow them to multiply. Do you have another cool-ish area to keep the crock in? Doesn’t the salt inhibit mold. That may be why the first batch worked. Anyone have a GREAT kimchi recipe? process sourkraut pint jar in boiling water 15min. “”””””””””‘ “”””” quart jar “” “”” “”” 20 min. CANNER WITH HOT, COVER JARS 1-2″WATER AND BRING TO BROIL AND PROCESS. Thanks, Tori. Look forward to other comments – anyone know how long a kraut jar must be canned? Hi Ethan, that’s a great question. I would be wary of sending anything uncanned… I’m not sure what to tell you here. Maybe another reader will have a suggestion. I just began ( for the first time ever) cabbage in a crock. the water level dropped down a bit below the top of the cabbage and I see some black mildew. do I need to throw out and start again? Hi Judy, there should never be black mildew in the fermentation crock, so I’m afraid you’ll need to start over. Next time make sure that the cabbage and the weights are completely submerged in the brine before you begin the fermentation process; you may want to add an inch or two of brine above so the level never drops below the top layer of cabbage. I prepared the kraut a 1 1/2 weeks age (MLK day). I’ve got the 10 l crock on my kitchen counter where it is pretty warm. I have yet to notice any “fizzy, bubbling sound coming from the pot.” I have not opened not moved to a cooler place, yet. Should I do either? You don’t need anything fancy or pricey. I use a 5 gallon ceramic/enamel pot, you can find these…the one’s with the blue overlay and smallish white dots, at any store. I simply use a stainless steel pot lid that is just a bit smaller than the factory lid. 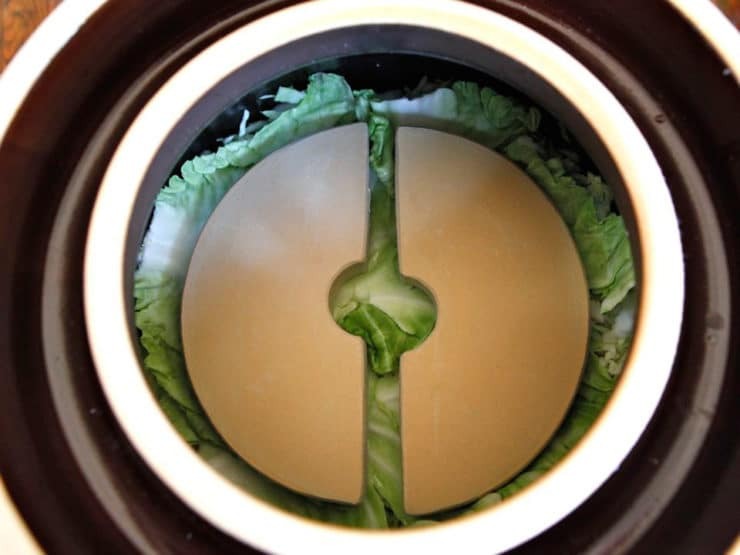 I put same inside of the pot, along with a 5 pound weight atop that….this compresses the cabbage as it ferments. Simple. I get excellent results….and I haven’t spent one dollar on “special equipment”. I am partial, though, to my 5 pound weight. Its a circular whiteish rock, found along a New Mexico highway. About the same size as an average cabbage head…how appropriate. Hi Tori….I’m saving money to get this crock from your online store! Have you tried making kimchi before? Is this crock good for that as well? Hi Dave– awesome! You will love it. 🙂 I do not make kimchi because it is one of the few things in this world my husband can’t stand (truffles are another one). However I don’t see why you couldn’t make kimchi in this crock as well! Hi Tori. I just received my beautiful new crock; it is unpacked and set up on my counter. It is the same one you pictured here except I got the 10L having absolutely no clue as to what I am doing. Very excited about this new adventure! 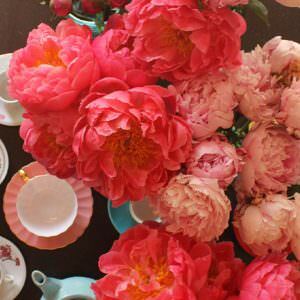 Your instructions and accompanying photos of the process are enormously helpful to neophyte! The crock did not come with any instructions for first use: do you wash these pottery crocks with SOAP and water? 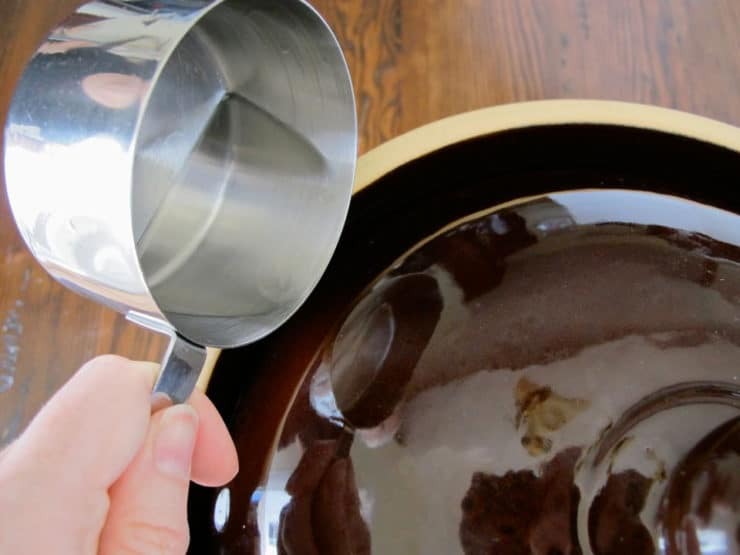 Do you use white vinegar to remove any last residue of soap that may remain after rinsing. The crock is large, heavy, bulky, and rather unweildly so not sure how to do this without chipping the crock. Then, how do you ‘sterilize’ it — I’m afraid of pouring boiling water in it for fear it might crack. I would imagine that cleaning it this first time should be done right before I’m about to use it to reduce possibility of ‘contaminents from air?’ What an utterly great blog this is!!! Enjoying the guidance and suggestions here. I bought a German crock and it’s HUGE! I used 3 heads of cabbage and 15 carrots. Added fennel and anise seeds. 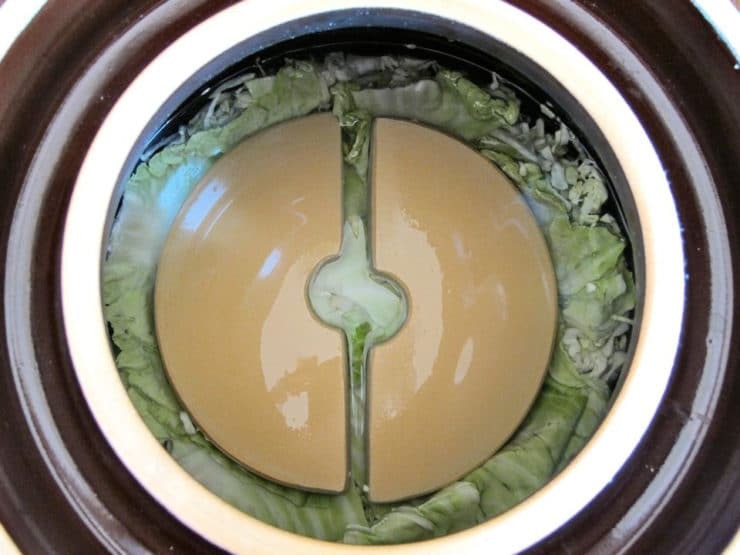 Question: Do you have to fill the crock to nearly the top or can it be half full of cabbage? The opening is too small to place a plate on the cabbage and then the stones so they went directly on the cabbage leaves. The liquid volume was 2 inches above the stones. I am concerned that the stones look odd…kind of irregular with what I’d guess is grease ground in?? Wonder if they are safe..been too long to contact seller I fear. Your thoughts? Anyway..I did not use salted water for the channel and I think my channel water got sucked in so I don’t know if it went dry or just disappeared… I checked it every 2-3 days. I have made several batches in jars with off and on results. I wish I had the cute crock shown here! Hi Annette. The size of the crock shouldn’t make a difference, as long as everything is fully submerged in the brine, including the stones. It doesn’t “need” to be filled to the top. Ours wasn’t even close to full. Also, we didn’t place a plate between the cabbage and the stones, it isn’t necessary. As for the stones, I’m not sure what you mean when you say they are irregular, but they shouldn’t look greasy. It’s important that every single thing you use (crock, stones, any utensils, hands) has been thoroughly cleaned and sterilized before you begin. If the liquid appears to have dried up, you need to make more brine to refill the channel. When you say your are checking every 2-3 days, do you mean you are checking the channel or opening the crock? Checking the channel daily is a good idea, refill with salt water as necessary. However, you definitely should not be opening the crock every 2-3 days during the fermentation process. 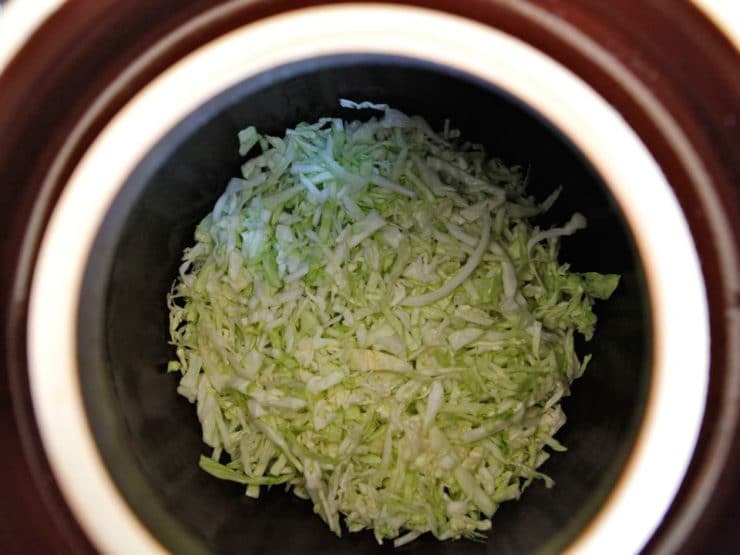 Every time you open the crock the sauerkraut is vulnerable to contaminants from the air, which can lead to spoilage. Hope that makes sense! Cleanliness is everything when it comes to fermenting anything, be it beer, wine or cabbage! I put my crock weights in the dishwasher before and after use. After washing to remove any physical soil and contaminates, you may consider sanitizing them with hot water but be careful! Do not immerse the cold stones into scalding hot water, they may break. Warm them first with very warm water from the tap. Hi Larry, our crock doesn’t have a liner either. You don’t need a liner to use the crock. Just wondering. Is it necessary to use salt water for the air lock? Is it beneficial? Thanks in advance. Dan- yes, and yes. It helps to keep bacteria from penetrating the fermentation crock.